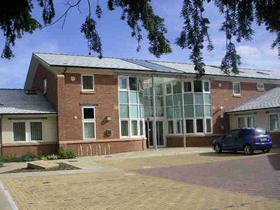 Our main surgery is in the village of Overton on Dee, 7 miles outside Wrexham, near the North Shropshire border. We moved into new premises on this site in January 2005. We share the site with Rowlands Pharmacy and some of the Community Nursing team. There is car parking at the front of the building and a large public car park at the rear. Both areas have disabled parking spaces allocated. We have over 6500 patients on our list covering a large geographical area into North Shropshire. We have a branch Surgery/Dispensary in Chapel House, High Street, Bangor is y Coed, LL13 0BU, a couple of miles from Overton. We are able to dispense medication to patients who live more than one mile from an existing pharmacy for collection from either surgery. Our aim is to work as partners with you to maintain or improve your health. Our approach is holistic; this means that we look at the whole person including your physical and mental health as appropriate in relation to your work, leisure and home life. New NHS patients are always welcome to join us. Overton Medical Practice is supporting the training and qualification of trainee counsellors. Counselling is a talking therapy and the type of counselling available at the surgery is Person Centred Therapy. What does this mean? It means that the counsellor will listen to you, but will not give advice or guidance. They will not provide answers, but provide a safe space for you to explore your feelings. You must be committed to your own therapy, meaning that you will attend sessions and be prepared to explore your problems/circumstances with your counsellor. You can end your session at anytime, but we would ask if you could let us know if you are not able to attend for any reason. All Counsellors are currently training, but have qualified and certified as an active counsellor. They are insured and are members of the professional body of counsellors the British Association of Counsellors and Psychotherapists (BACP). As a member they are required to follow their ethical policies and procedures.